S.A.F.E.R. Numerical Simulation for Structural Analysis in the Aerospace Industry Part 4: Simulation Governance | ESRD | Engineering Software Research and Development, Inc. 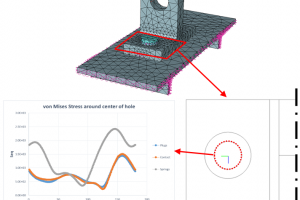 In our last post in this series we examined why finite element modeling, as it has historically been practiced, is not the same as numerical simulation. The difference is important for both users of FEA software as well as all those who depend on the reliability of engineering calculations, like margins of safety from detail stress analysis that use the results of a simulation. In this article we will explore the topic of Simulation Governance, and why both simulation users and their managers on A&D programs should care. The American Society of Mechanical Engineers (ASME) published its first guideline on verification and validation (V&V) in computational solid mechanics in 2006. The main point was this: since engineering decisions are based on computed information, assurance of the quality of that information is essential. Since then V&V has become a more timely topic across many industries, but especially so in A&D for good reasons. Foremost is that as computational software tools have become more capable and pervasive, they have also become more complex and risky to use. This is true not just for the novice or occasional user but even for the expert or routine user. 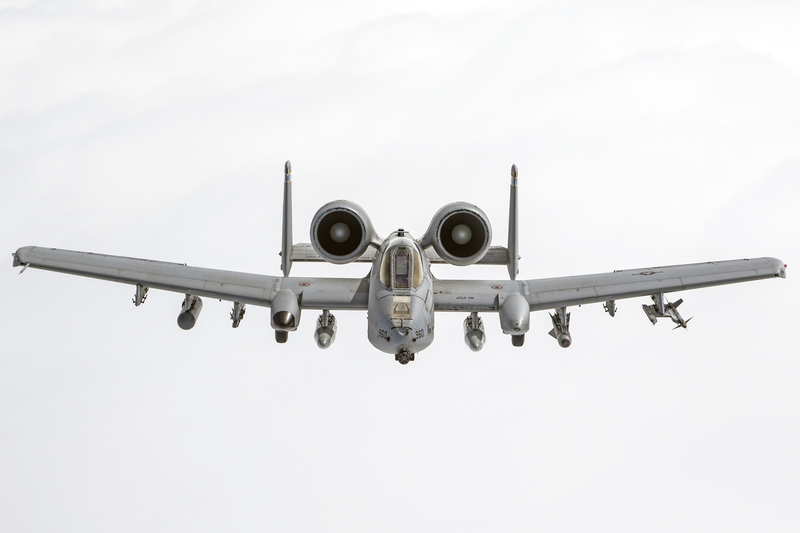 Likewise, the demands on the performance and durability of aerostuctures has continued to increase at an unrelenting pace. With more engineering time spent in the design phase a greater reliance on digital simulation and virtual testing has reduced the time available for physical prototyping and operational testing. This is a dangerous combination of trends that suggests status quo processes may no longer be sufficient. Historically, the A&D industry has responded to the requirements of V&V thru ad-hoc strategies that were largely based on proprietary methods and institutional knowledge. This was satisfactory until recently because of accommodations in the schedule for prototyping, flight testing, and fixes with every new block number. Many A&D OEMs had their own engineering methods, technical support, and process improvement groups whose function included standardizing analysis tools to assure some level of quality control. However, rarely was there a single group or well-defined role which had explicit responsibility for oversight of engineering quality from a V&V perspective. With respect to the implementation of V&V procedures, there is seldom a clear understanding or even agreement on the fundamentals. Many engineering managers and even some regulatory agencies often confuse or intermix verification of codes and validation of results. Verification has a much broader reach and involves data verification, code verification and solution verification. What is almost always overlooked is that solution verification is a prerequisite to model validation, and that without uncertainty quantification is practically impossible to define reliable validation metrics. In the absence of solution verification, it was not uncommon that the results of validation testing were then fed back to tune the finite element models and correct for errors of unknown sources. Without more attention to the direct support of V&V it is no surprise that the results from the finite element “modeling” of the same engineering problem can vary greatly between different simulation users, idealization approaches, and codes. Without this managerial oversight most discrepancies and deliberations are delegated back to the experts to resolve where discussions almost always fall back to questions about idealizations (e.g. element types) and discretizations (e.g. the mesh). The lack of a governance framework with supporting policies, practices, and tools to assess the quality of engineering predictions left no recourse except to ask the expert who performed the work to defend its credibility. NAFEMS has named Simulation Governance a “Big Issue”. But what is it? The concept of simulation governance when used within the context of mechanical and structural engineering was introduced in 2012 when Dr. Barna Szabo and Dr. Ricardo Actis of Engineering Software Research & Development (ESRD) published the first reference to and definition of the term. This paper was titled ‘Simulation Governance: Technical requirements for mechanical design’, and is available for download via ScienceDirect. Recently, in 2016, the authors expanded upon this paper with a NAFEMS webinar titled “Simulation Governance: Technical Requirements”. The term simulation governance refers to procedures established for the purposes of ensuring and enhancing the reliability of predictions based on numerical simulation. Simulation governance is a managerial function concerned with the exercise of command and control over all aspects of numerical simulation. At the 2017 NAFEMS World Congress in Stockholm simulation governance was identified as the first of eight “big issues” in numerical simulation. 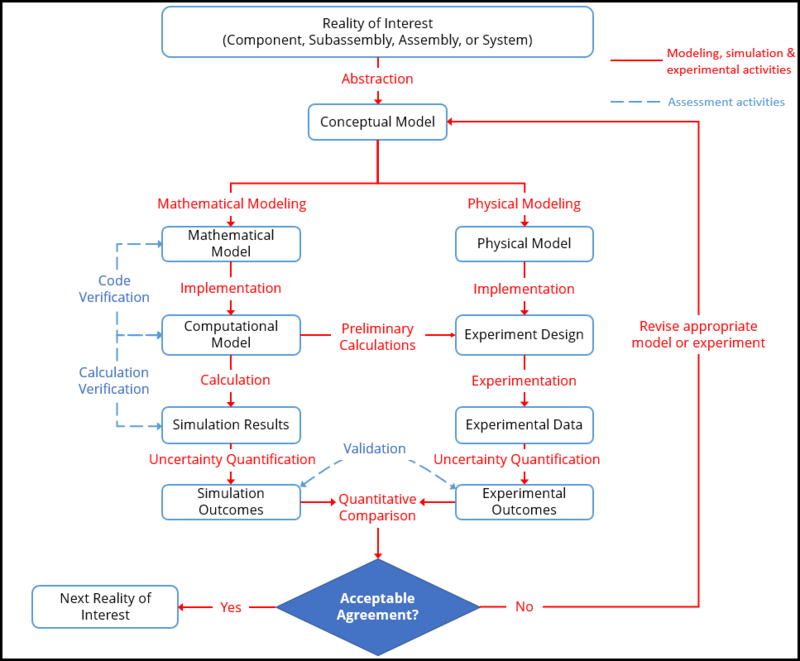 The application of simulation governance is concerned with (a) selection and adoption of the best available simulation technology for the intended use of the model, (b) formulation of mathematical models, (c) management of experimental data, (d) data and solution verification procedures, and (e) revision of mathematical models in the light of new information collected from physical experiments and field observations. A plan for adopting simulation governance has to be tailored to fit the mission of each organization. If that mission is to apply established rules of design and certification then emphasis is on solution verification and standardization, which includes the creation of simulation apps, templates, or automated workflow processes. If, on the other hand, that mission is to formulate design rules then verification and validation both must be part of the plan. When these elements are adequately addressed, the practice of simulation governance provides guidance in how best to implement V&V in everyday engineering work. Especially when it is directly supported by and incorporated into the software tools employed by the expert simulation engineer, and even more so by the non-expert occasional user. 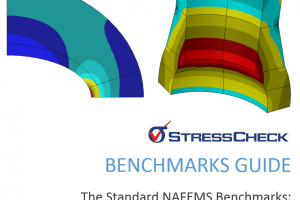 With a new generation of numerical simulation software, like ESRD’s StressCheck®, it is now possible for users to explicitly support the requirements and best practices of engineering verification and validation. Simulation governance must be implemented to achieve democratization of simulation in A&D (Click to download). 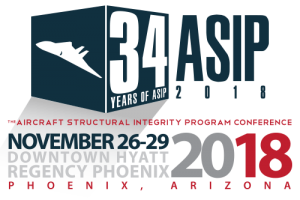 The technical and economic value of numerical simulation performed by engineers in the aviation, aerospace, and defense industries is well established. As the performance requirements and complexity of the products that engineers in these industries design and maintain has dramatically increased this value has become even greater. This in turn has fueled the need to perform more simulation of greater complexity with as much conducted as early in the design cycle as possible. This has created additional demands on the engineering organization to improve the volume, thoroughness, fidelity, and speed of analysis work all without a loss in confidence or reliability regardless of the expertise of the engineer. The importance of simulation governance extends from the acknowledgement that the practice of finite element modeling, especially in the A&D industry, is inherently a highly complex and error-prone activity, whose results often vary greatly depending on the user, idealizations, and code. As the value of and risk from the simulation function increases, the practice of simulation governance becomes critical for ensuring the reliability and robustness of FEA-based analysis in support of the aerostructures design function. The practice of simulation governance requires a continuous investment in the training of simulation professionals and improvement in the maturity of software tools, engineering methods, automated processes, standards, and best practices. Nowhere are these improvements more important than demonstrated in the different schemes over the years to promote the use of FEA software earlier in the design cycle by general design engineers without expert training. The results have been disappointing for many valid reasons. More recently there has been much discussion about the democratization of simulation to enable more simulation-led design that occurs earlier in the systems engineering “Vee”. But is it realistic in industries like A&D? The answer lies in the practice of simulation governance which provides guardrails to ensure that the most difficult computational problems can be solved by experts with confidence, while more routine analysis in support of design decisions can be performed by engineers without expert training. The admirable vision for expanding the use of simulation by non‐experts cannot be safely realized unless a new approach to FEA based upon numerical simulation and simulation governance emerges to replace the art of finite element modeling as it has been practiced up to now. Once this occurs, the standardization, automation, and democratization of the engineering simulation function through the adherence to the practice of simulation governance can offer many benefits to the A&D industry at the engineering, product, program and business levels. These benefits include encapsulating complexity, improving productivity, containing cost, and ensuring reliability for the expert simulation analyst and non‐expert design engineer alike. With an adherence to the principles of simulation governance it now becomes feasible for more simulation processes to be standardized, then automated, and finally democratized for routine use by experts and non-experts alike. An example is sets of Smart Sim Apps that populate Digital CAE Handbooks of recurring analysis tasks. The use of high aspect ratio solids elements for very thin domains (parent mesh) combined with parametric auto-lamination capabilities makes it possible to quickly update laminated composite joint geometries, the number of plies and the stacking sequence to produce a ply-by-ply mesh without FEA know-how. Utilizing this enabling technology, the PI-Joint Smart Sim App example was constructed, vetted and deployed by a single expert user to represent a standardized solution for use by non-experts, with all of the input parameters, solution steps and extraction criteria carefully implemented and controlled. The PI-Joint updates automatically upon valid parameter changes (as defined by the expert’s rules), solves the configuration (e.g. linear sequence of solutions), and automatically extracts/reports the 3D energy release rate along the delamination front. Without simulation governance, this could not be reliably deployed and consumed. In our next and final S.A.F.E.R. Simulation post in this series we will profile stress analysis software like ESRD’s StressCheck® Professional which is based on numerical simulation technology that provides intrinsic capabilities for solution verification and validation through the use of hierarchic finite element spaces and a hierarchic modeling framework. StressCheck® Professional facilitates the practice of Simulation Governance by the A&D engineering organization to make simulation Simple, Accurate, Fast, Efficient, and Reliable for experts and non-experts alike.